It has been really long since we last interacted . I will try to more reviews from now onwards because i have bunch of new products which I am loving these days. For me bathing has to be an experience. I want my soap case to be dressed and fragrant. I came across Soulflower soaps.I bought two of them at different occasions.I was somehow aware of the brand because years back somebody gifted me the bath salts from the same company.i liked them especially the one with turquoise blue colour. 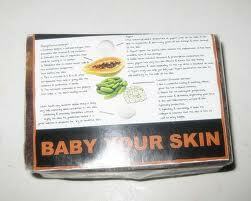 This time I bought Baby my skin and Rose soap. Both are good but my personal favorite between the two is ROSE. These soaps are mildly fragrant which is pleasant while you are all geared to kick start your day with refreshing bath.My skin is very dry so I am on the kind of hunt to shop for the soaps which are non drying.They maintain the moisture balance of my skin . Though I apply after bath moisturiser but its not like oodling out tonnes of it to get that perfect moisturised skin. Now why Rose over Baby my skin? Very personal reasons still I should let you know!!!! 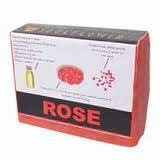 1I liked rosey fragrance over the BMS one( though I like chocolates& honey in general ). 2 Colour of the ROSE one is more dressy for my bathing room. I use the entire soap and do not cut it into pieces though recommended on site. I like the huge size on the contrary.!!! They are making aromatherapy oils also. I am desperately looking for someone who have tried them. 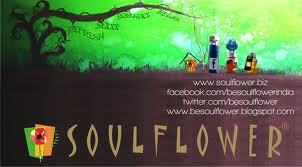 Please update about your experiences if you have any with Soulflower oils and soaps as such.